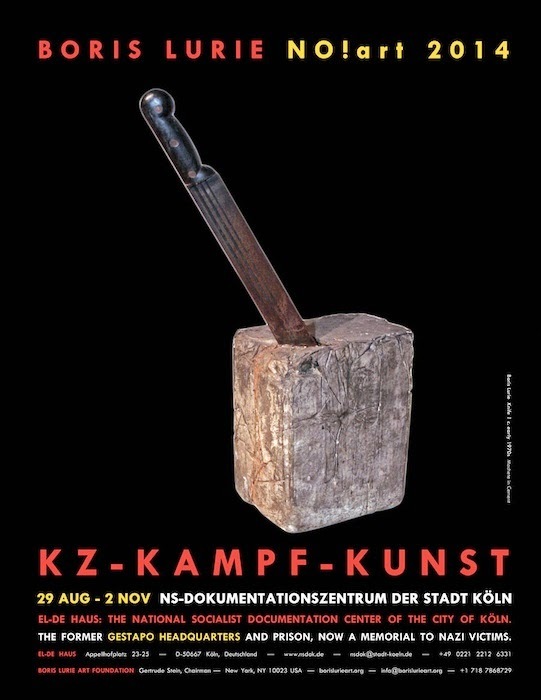 The Boris Lurie Foundation is exhibiting KZ Kampf Kunst at the former Gestapo Headquarters in Cologne, Germany. August 29 - Nov 2, 2014. Appellhofplatz 23-25, 50667 Köln, Germany. A historical retrospective of Boris Lurie works at the most poignant and terrifying setting imaginable: the former headquarters of the Gestapo in Cologne (currently a National Socialism Documentation Center).